Read our top seven examples of ways local governments like yours are utilizing social media to engage and inform citizens. Your comprehensive guide to social media networks and how to use them to engage and connect with citizens. Social media has emerged as an effective platform for reaching citizens in meaningful, and engaging ways, keeping them informed about news and events in their communities. Whether you’re just starting to integrate social media into your communications strategy or are looking for ways to leverage the latest tools and social channels, our list below is sure to inspire creativity and offer actionable advice. How do you communicate to your community of thousands or millions that your administration has unexpectedly had to cancel a long-planned event? Citizens may not watch the local five o’clock news or check their email in time to receive the news of a cancellation. They are, however, likely to catch an update if it appears on social media. The average American checks Facebook eight times per day, which means the news of your cancelled event has the best chance of reaching them in time if it appears in their news feed. 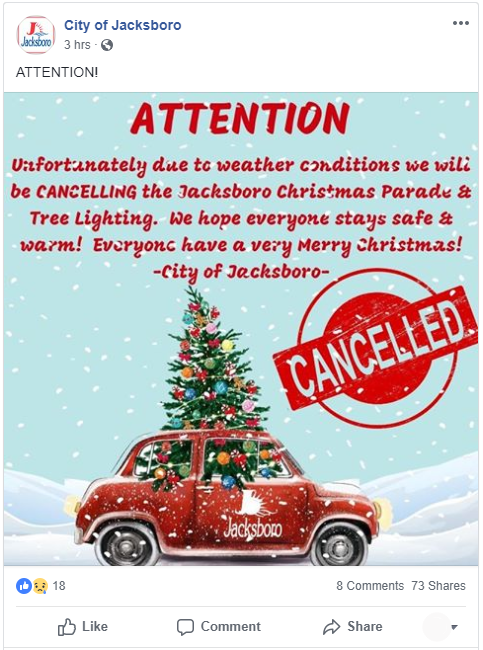 When the City of Jacksboro had to cancel its Christmas Parade and Tree Lighting, it utilized Facebook to spread the word. Employee recruitment is a serious and critical component of your talent management strategy, but that doesn’t mean you can’t use modern tools and dynamic approaches to identify and engage top talent. Social media platforms like Instagram and Facebook are for more than sharing photos of post-workout meals and vacation photos of flip-flop clad feet in front of oceans of blue waves. They are tools that should be used by all private and public sector recruiters to engage the next generation of local government employees (read: Millennials). 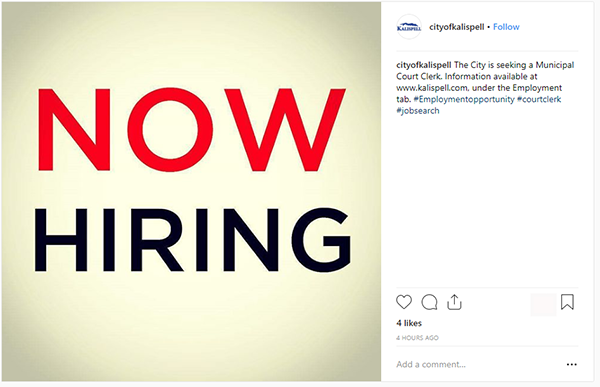 For example, the City of Kalispell, MT recently used Instagram as a platform to call for applications for its Municipal Court Clerk position. Click here to learn more about how to leverage Instagram as part of your talent recruitment strategy. Nextdoor positions itself as “the private social network for your neighborhood” and offers benefits to both municipalities and their residents. For local governments, it allows public agencies to create profiles to connect with local neighborhoods, take part in two-way dialogue, and maintain visibility into the issues that matter most to residents. For citizens, it allows neighbors to connect, share information, find local community resources such as babysitters, and alert one another to events of concern, such as a streak of nearby break-ins. 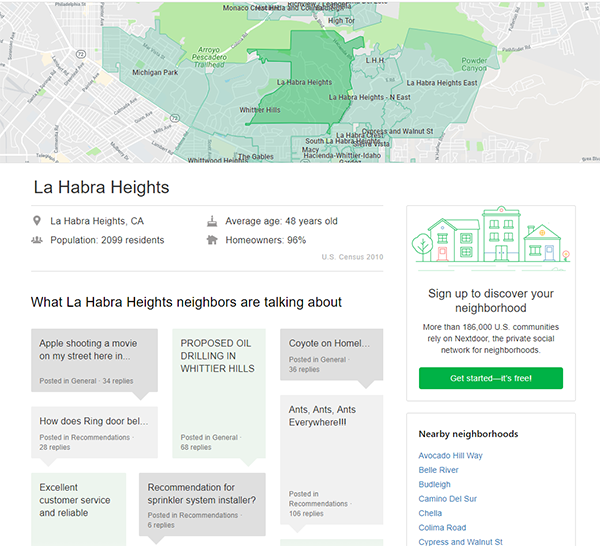 One way that La Habra Heights, CA leverages Nextdoor is to foster dialogue among neighbors and identify trending topics of interest. Read more about the benefits of Nextdoor as part of your local government communication plan here. Facebook business pages offer a Recommendations and Reviews tool that allows customers to provide direct, public feedback and rate their experiences with the organization. This functionality is just as relevant for public sector entities as it is for the private sector. By allowing residents to rate and recommend your community, you generate valuable feedback for prospective residents who value crowd-sourced opinions and insights. In the City of Madison, Alabama, for example, citizen feedback and recommendations are solicited and shared on its Facebook page. While mayors, clerks, and county executive are very visible and recognizable public officials, some hard-working local government employees aren’t always as well known by their citizenry, which can make it difficult for residents to say thank you. 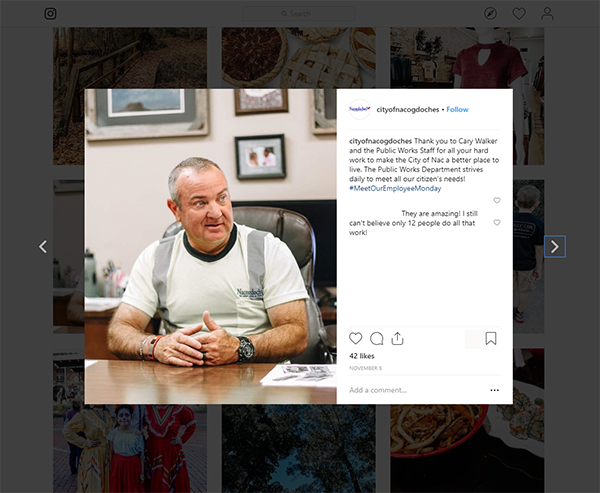 For example, the City of Nacogdoches, TX recently used Instagram to thank its hard working public works staff for their hard work. The Facebook 360 Photo feature allows users to create and share immersive imagery as individuals travel and experience once-in-a-lifetime moments. After a 360 image is posted to Facebook, follows can click on the image and use their mouse or finger to move the image directionally. As they move, the image does too, allowing them to experience a 360 panorama. 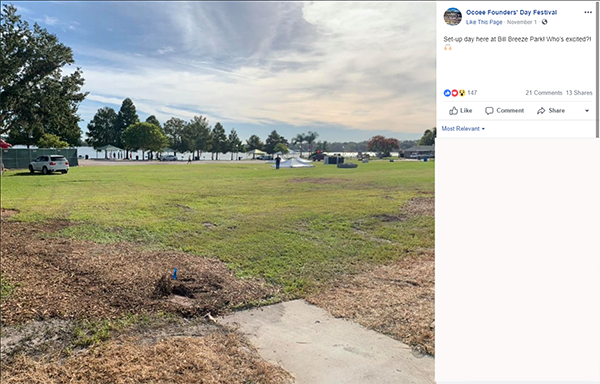 In the City of Ocoee, FL for example, Facebook followers could take a peek at the Ocoee Founder’s Day Festival set-up using this 360 degree functionality. Citizens value seeing their tax dollars put to good use. When your community completes construction on new public facilities, you are proud to show them off, and your citizens are pleased to see the results of their community’s investment. 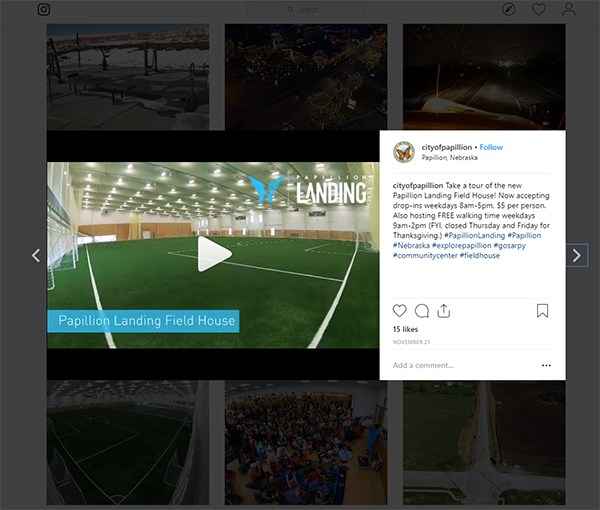 In the City of Papillion, Nebraska, for example, the City recently used Instagram to showcase a virtual video tour of its new Papillion Landing Field House. Set to music and expertly edited, the video creates excitement and beautifully showcases the new facility. Local governments can leverage the impact of video on social media by sharing videos of community events on Facebook, Instagram, and Periscope. Share videos of holiday parades, the development of new buildings, political interviews, or film your own news-style features to educate citizens about issues impacting your community. For example, the City of Anaheim, California shares videos of recent community news on its Facebook page, such as ribbon cuttings. The average citizen spends nearly two hours on social media every day, making it an effective way to communicate time-sensitive news—like potentially disruptive weather alerts. The Town of Banff in Canada, for example, uses its Twitter account to share local news, including weather alerts. 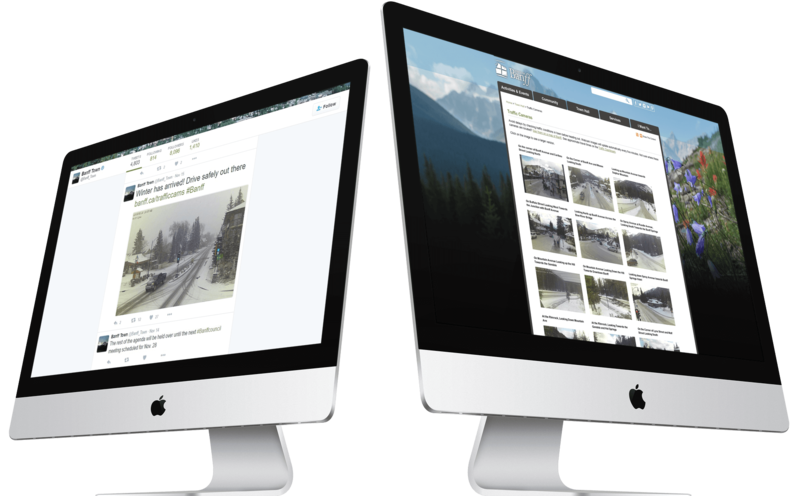 Banff adds popular local hashtags and links to additional content available on its website to maximize the reach of its messages. In the example depicted below, during the first major snow storm of the season, the administrators in Banff included a link to their local government website’s available traffic cameras to prepare citizens for dangerous road conditions. YouTube has become such a well-adapted video sharing service that it is starting to steal market share from cable television. Six out of 10 people today prefer online video platforms to live TV. For local government, this means that the number of citizens exposed to news content and advertising on cable television is dropping. It also means local governments have a unique opportunity to leverage social media to tell their own stories and create their own video news content. 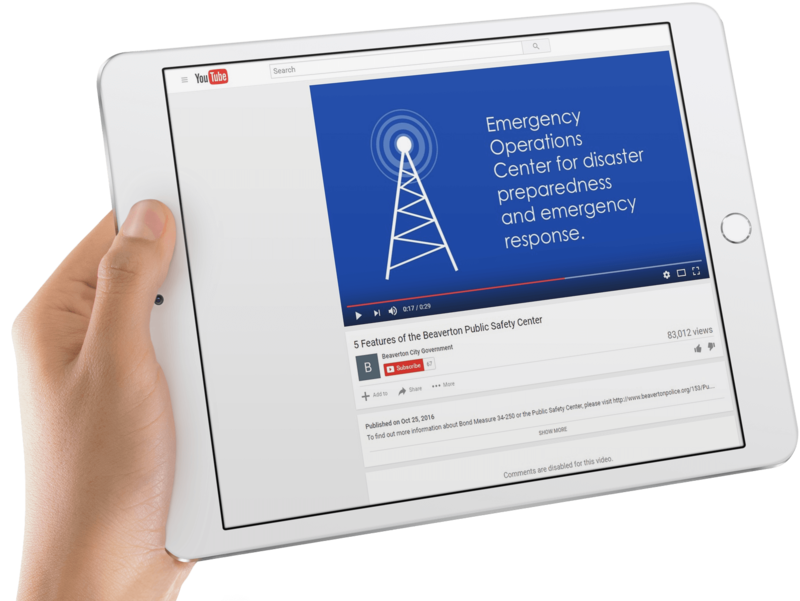 For example, The City of Beaverton, Oregon has created a successful YouTube channel that it uses to share videos of town hall meetings, self-produced news stories, and other public service announcements. Social media is an impactful and effective way of reaching not just citizens, but travelers. If tourism is an important aspect of your community’s economy, Pinterest can be an effective way to capture the attention of travel lovers and connect them to your local government website for more information. For example, the tourism department at Grants, Pass, Oregon uses Pinterest to engage travelers and capture their attention while encouraging visits. The “Travel Grants Pass” Pinterest page includes 12 boards that focus on such niche, but locally inspired imagery as “Beautiful Views in Grants Pass,” “Things to Do in Grants Pass,” “Attractions Near Grants Pass,” and “Eating in Grants Pass.” Its popular “Shopping in Grants Pass” Pinterest Page allows for the sharing of products and images sold by local retailers. When implemented as part of a strategic communication plan, social media can be an effective way to promote attendance at community events. 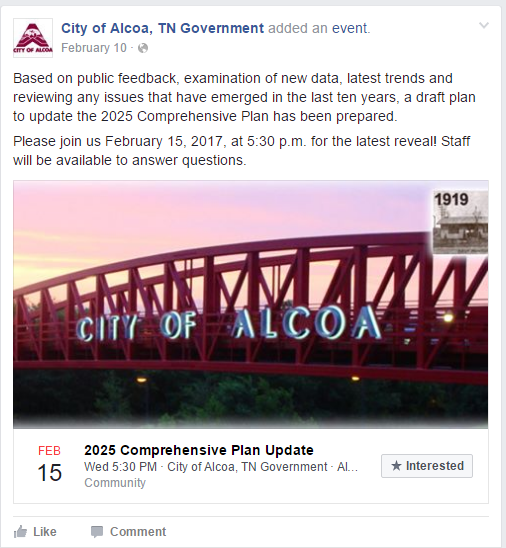 For example, the City of Alcoa, Tennessee uses Facebook events to invite citizens to attend community meetings. When citizens interact with such posts, an update appears on their timeline, helping to further spread the message to even more interested citizens. Video is an effective training tool, and social media makes the mass distribution and accessibility of such video training tools easy. 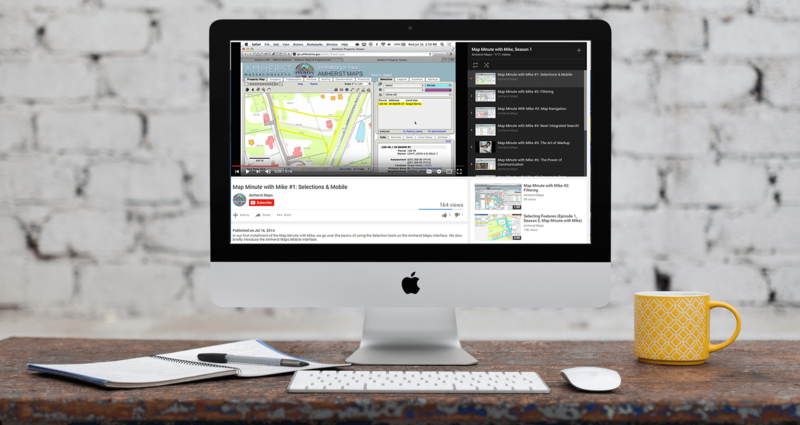 The community of Amherst, Massachusetts posted a series of training videos to YouTube in which they walk citizens through the use of their municipal website online community map interface. The series, called “Map Minute with Mike,” has been viewed hundreds of times by interested citizens. Social media is a great way to reach busy moms and dads. 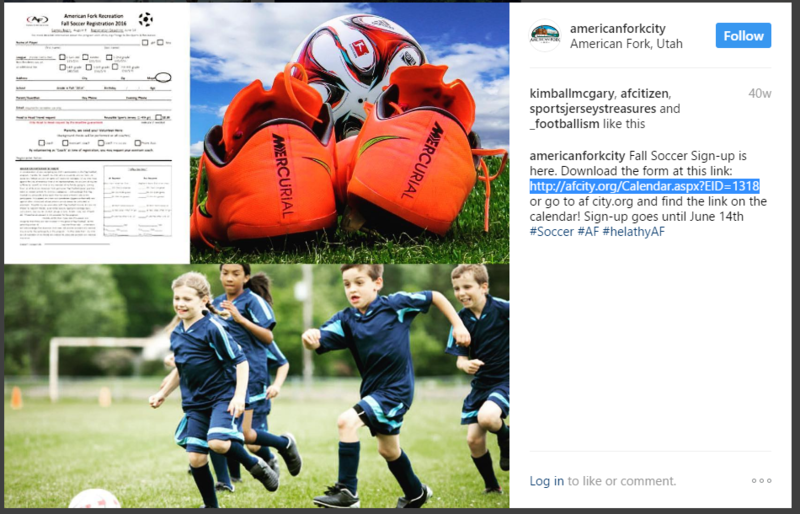 American Fork City, UT uses Instagram to encourage citizens to sign up for their fall youth soccer league. Using engaging photos and a direct link to their activity registration page, they have made registrations quick and easy for busy parents. 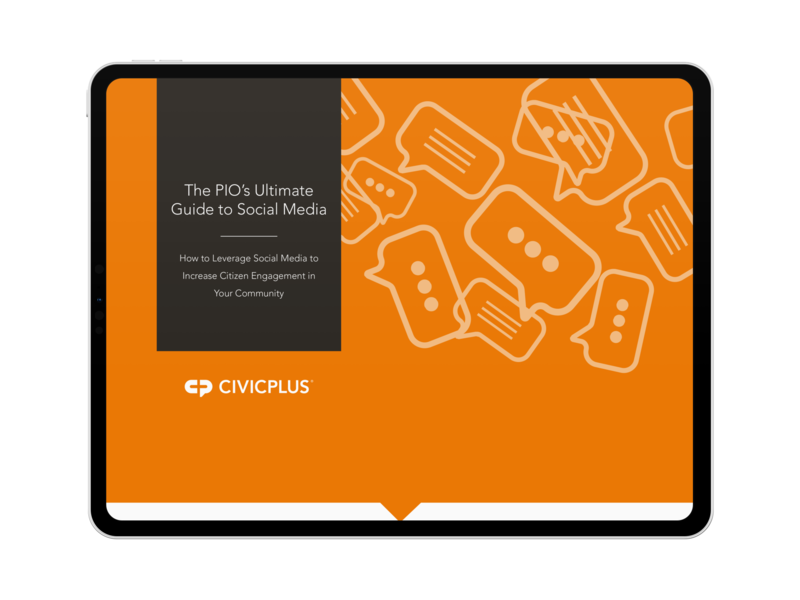 If you're ready to start leveraging social media to help you connect to, and engage with, your citizens, click here to download our eBook, "A PIO's Ultimate Guide to Social Media." Our comprehensive eBook outlines the latest social media trends, explains how each platform can benefit local government, and offers tips to help you get started. 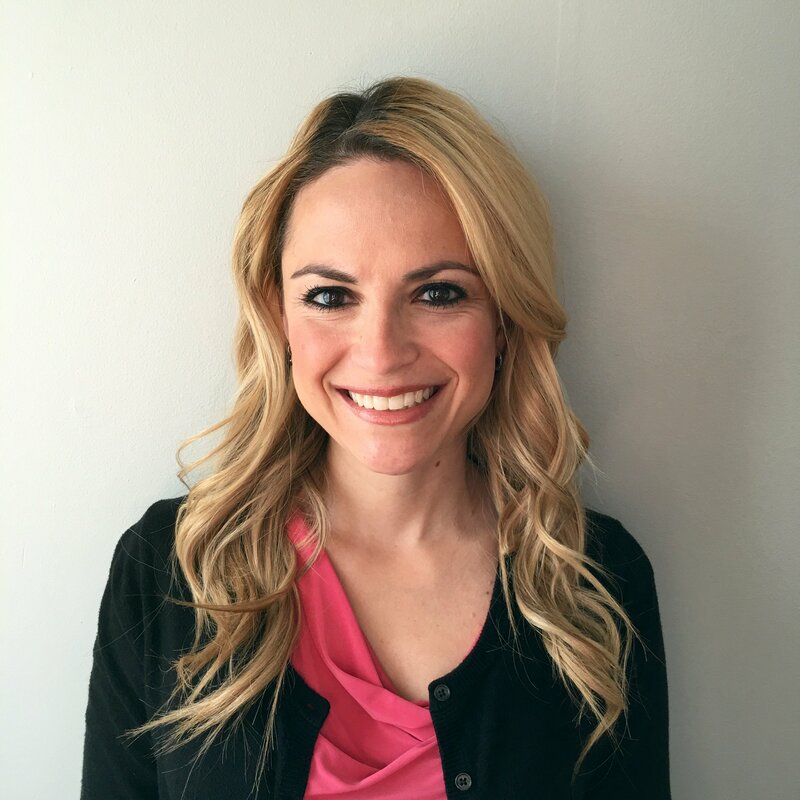 Jessica holds a Bachelor of Arts degree in English from the University of Rochester, and a Master of Arts degree in Advertising from the S.I. Newhouse School of Public Communications at Syracuse University. She has over 15 years of experience in communications with a focus on writing in the digital marketing space.